66 percent of consumers find online reviews influential or highly influential when searching for a dealership. 39 percent of auto service customers say they’re likely to leave a negative review after a bad experience. 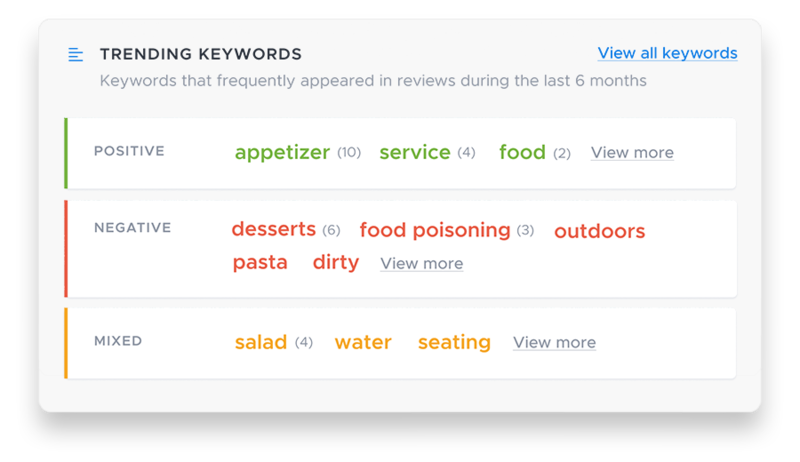 Use online reviews to engage with shoppers before, during, and after the buying experience. 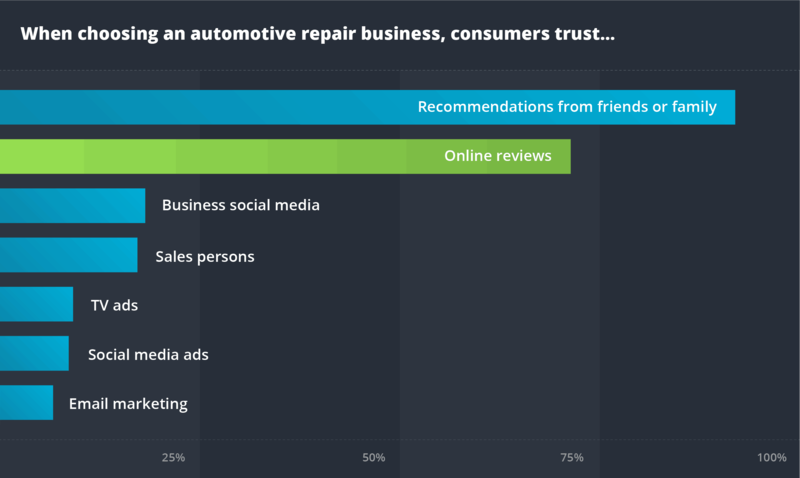 Two-thirds of consumers say online reviews are influential or highly influential when choosing an automotive business. Here’s why: Cars are a major expense. Cars are also a source of anxiety because of the cost of ownership. Consumers will research an automotive business’ online reputation before purchasing products or services. That means you need to keep an eye on what people are saying online and quickly respond to negative criticism. Identify trends in customer experience. After signing up with ReviewTrackers, Ziebart was able to send out 14,000 emails to customers asking them for feedback. Ziebart was also able to respond quickly to customers’ issues. According to McKinsey & Company, 66 percent of global automotive executives are focused on providing superior customer experience. ReviewTrackers helps your brand measure the customer experience and engage with customers through the customer journey.